You are currently browsing the tag archive for the ‘National Biodiversity Month’ tag. 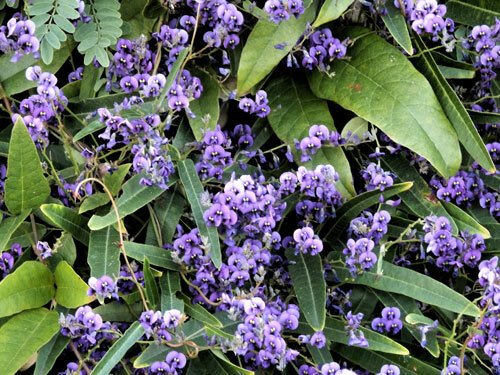 Australian native Hardenbergia ‘Happy Wanderer’ – called ‘Waraburra’ by indigenous Australians. Used as a vine & ground cover. Attracts insects & birds. Can be propagated or grown from seed. 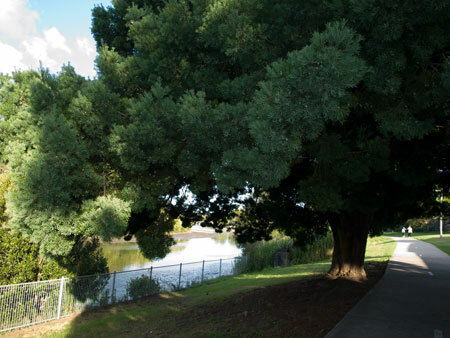 Landcare is holding a community-planting event for Biodiversity Month at Marrickville Golf Course planting trees, shrubs, grasses, sedges & groundcovers. Tools & gloves provided, plus morning tea. 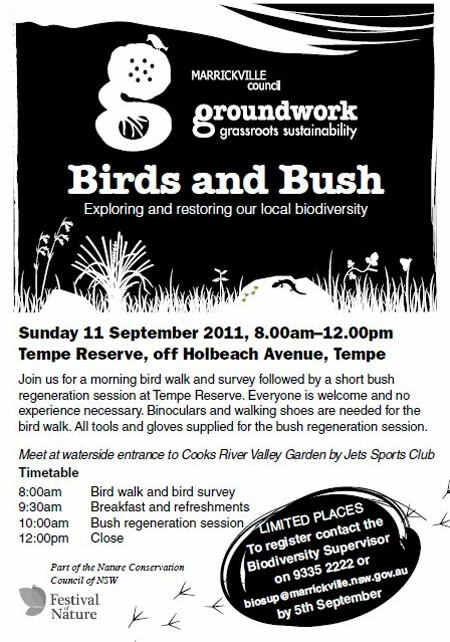 WHERE: Landcare site next to the Marrickville Golf Club, entry Wharf Road Marrickville. Plenty of free parking is available. 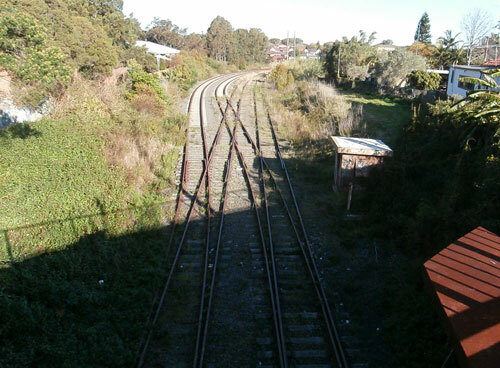 Showing a section of The Greenway from Dulwich Hill. Community volunteers ‘Friends of the Greenway’ have already done massive amounts of work re-vegetating sections of the corridor. September is National Biodiversity Month. Biodiversity is incredibly important because everything is connected & all that lives contributes to the web of life. If one is removed, it affects something else. 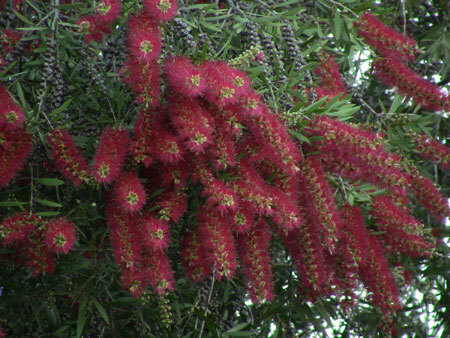 If something foreign is introduced it can severely impact on the flora & fauna. Think Cane Toad. 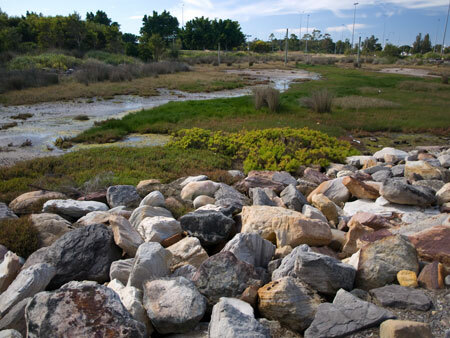 In 2011 Marrickville Council completed their Draft Biodiversity Action Plan & mapped the Urban Habitat Mosaic. See – http://bit.ly/qO2eFo The Urban Habitat Mosaic refers to all parks, reserves, other open space, streets, road verges, schools, church grounds & backyards in the LGA, as well as Camperdown Cemetery, Marrickville Community Nursery, Camdenville Park & the Bush Pockets sites at Victoria Road & Bedwin Road. If you look at the map the first thing you notice is how little there is & how poorly connected the sites are. The Cooks River & The Greenway are the only major corridors. We all can add to the Urban Habitat Mosaic by planting out a section of our garden with natives that offer food & habitat to wildlife as well as including suitable native plants to verge gardens. It wouldn’t take much to make a massive improvement on the Mosaic if most of us actually planted something to add to it, though I recognize that this will take some time. Pittwater Council is asking people to convert the fence line of their back garden into wildlife supporting habitat, including logs from dead trees for lizards & the like. Create a natural habitat in your backyard. Only put water down the drains. Be an informed seafood eater. Don’t eat threatened fish species. Understand what you can & can’t take with you when you travel. When you’re sailing, don’t get too close to whales & dolphins. 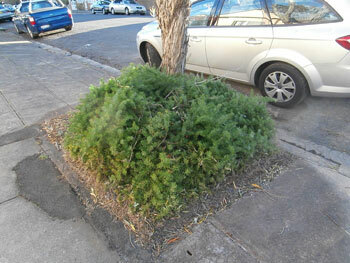 Looks much better than the usual litter & weed-filled area around street tres, but is a harmful plant because it is so invasive in our area. 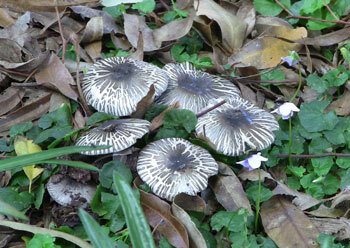 The largest piece of bushland habitat we have close by is Wolli Creek. This area is under siege from Privet, Lantana & Asparagus Fern, so we could help this area enormously (& the volunteers who spend hours trying to remove these invaders), if we removed these plants from inside & around our property. 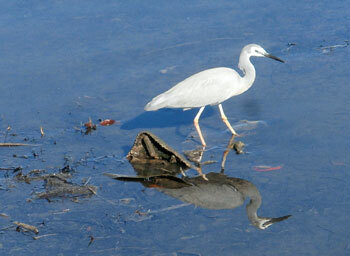 Lovely White-Faced Herons are becoming a visible bird along the Cooks River. They were not as common only a few short years ago. Just yesterday, someone said to me that the Cooks River will not receive the protection it needs until the Council & the community sees it on the same level of importance as a Bank. The analogy was; we expect our money & valuables held in Banks to be protected so we hire guards to keep it safe for us. 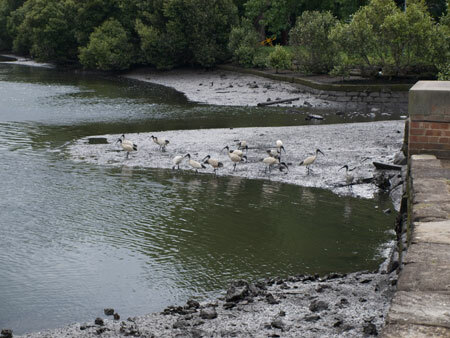 If the Cooks River were seen as important as our valuables, we would be insisting on the presence of Rangers to protect both the river & the parks along the river. This certainly made me think. Declaring the Whanganui River a legal identity with rights the same as people reminds me of Bolivia’s breathtakingly wonderful ‘Law of the Rights of Mother Earth’ declared in 2010. It shows that the minds of people are changing, that they are recognizing the importance of biodiversity & the environment as well as our role in protecting it. Some would say that we have a moral responsibility to do so. 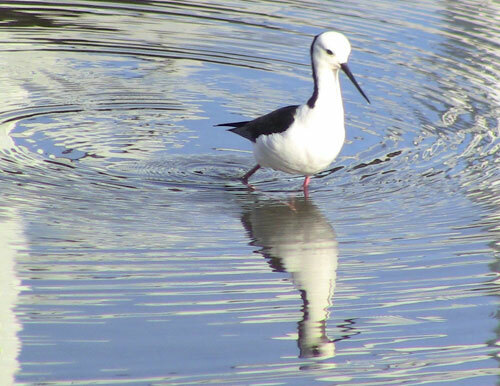 I think this is a Black-winged Stilt. It was foraging at the boat harbour at Tempe. I have only seen these birds twice.